Snap the Caddy Cap to your golf bag for quick and easy access to your golf tees. Simply slide the cap upward to remove a tee. 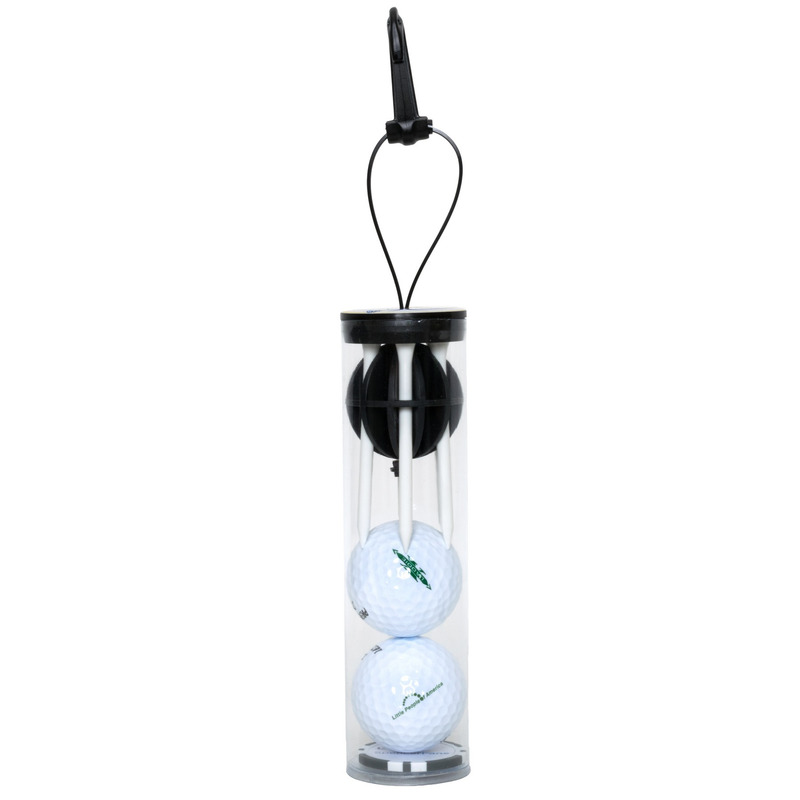 Caddy Cap clear tube with black cap includes: six 3-1/4" white wood tees, two Precept Laddie golf balls and a poker chip. Base price includes full color epoxy dome on the cap and poker chip, and a one color imprint on the golf balls.